Rafael Aranda, Carme Pigem, and Ramon Vilalta in their Barberí Laboratory work space in Olot, Girona, Spain. Courtesy Pep Sau/Pritzker Prize. Historically, architecture has been perceived as an endeavor of the renowned master architect. The household names in architecture—such as Frank Lloyd Wright, Ludwig Mies van der Rohe, Le Corbusier, and more recently, Rem Koolhaas, the late Zaha Hadid, and Frank Gehry—are seen as exclusively responsible for their iconic creations. Lesser known are their firms’ employees, who no doubt played a critical role in realizing these visions. Take, for example, the prestigious Pritzker Prize. Of the 40 Pritzker laureates since the prize’s inception in 1979, 37 have been individual architects. The dynamic duo Jacques Herzog and Pierre de Meuron first broke that pattern in 2001, and laureates Kazuyo Sejima and Ryue Nishizawa were another winning team in 2010. 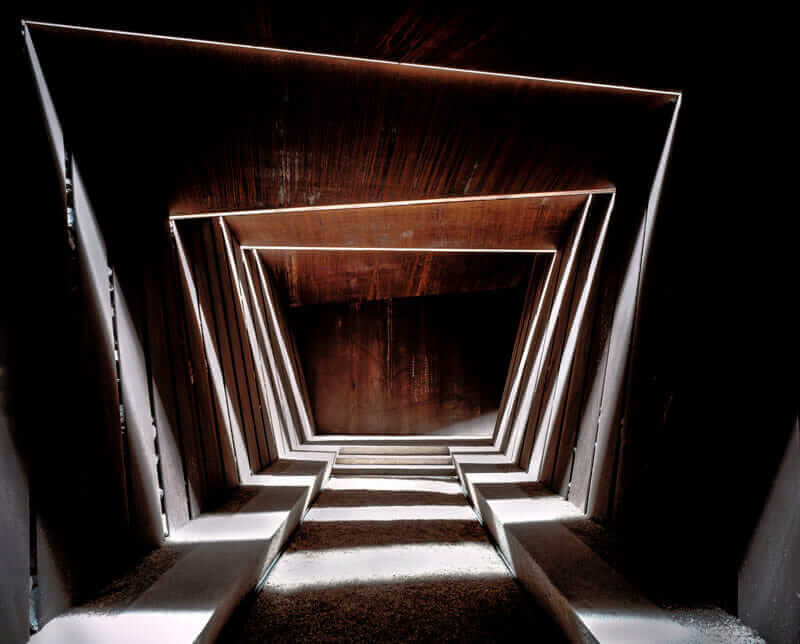 Interior of the Bell-Lloc Winery in Palamós, Spain. Designed in 2007 by 2017 laureates Rafael Aranda, Carme Pigem, and Ramon Vilalta. Courtesy Hisao Suzuki/Pritzker Architecture Prize. Row House in Olot, Girona, Spain. Designed by 2017 laureates Rafael Aranda, Carme Pigem, and Ramon Vilalta. Courtesy Hisao Suzuki/Pritzker Architecture Prize. Cathleen McGuigan, editor in chief of Architectural Record, agrees that teamwork is a huge part of all successful architecture. “Major works of architecture are like movies—there is a director who is likely to have a strong vision and many, many people who are listed in the credits, without whom it would be impossible to get the project done,” she says. 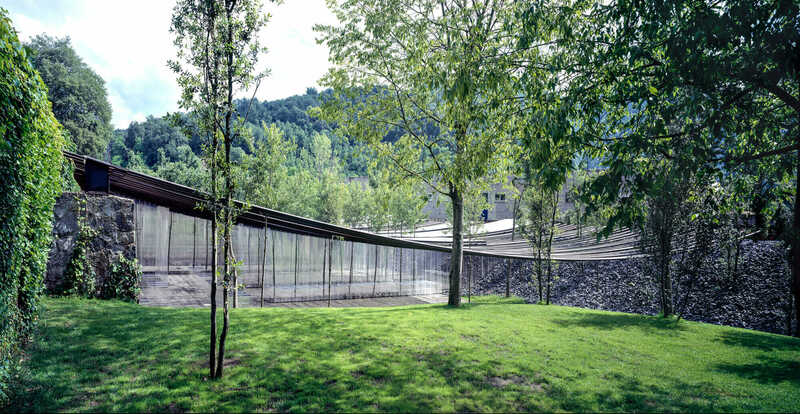 Les Cols Restaurant Marquee in Olot, Girona, Spain. Designed by 2017 laureates Rafael Aranda, Carme Pigem, and Ramon Vilalta. Courtesy Hisao Suzuki/Pritzker Architecture Prize. 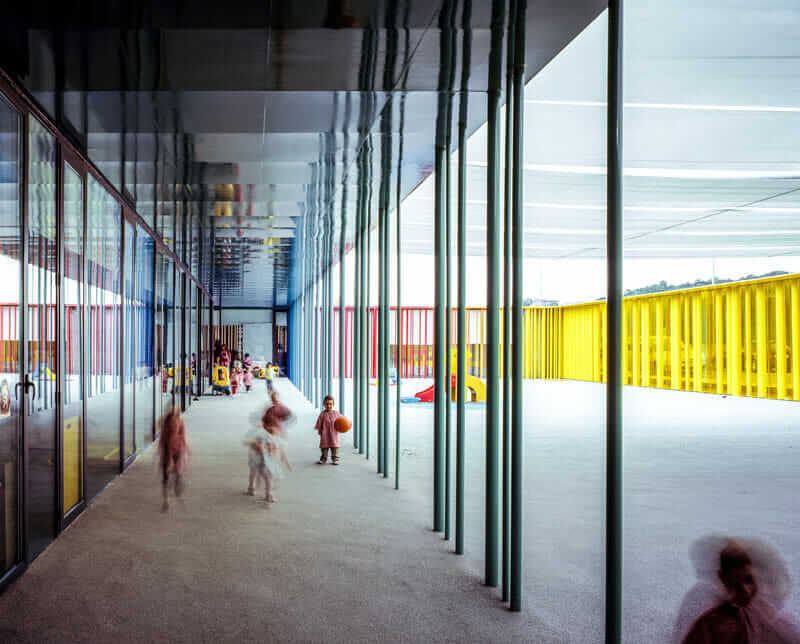 This change in the way architecture is taught is more reflective of the real world. “We are teaching students to practice hearing different voices and understanding and incorporating those different voices in a useful way,” Thorne says. When even the Pritzker, the most coveted and traditional prize in architecture, reflects this evolution, it’s worth taking notice—and exploring the underlying causes. Globalization and new technologies are two factors thrusting the practice of architecture more into the realm of collaboration (which tools such as Autodesk Collaboration for Revit support). Though McGuigan admits there is a greater emphasis in general on the collaborative nature of architecture, she is hesitant to declare it an either/or phenomenon. 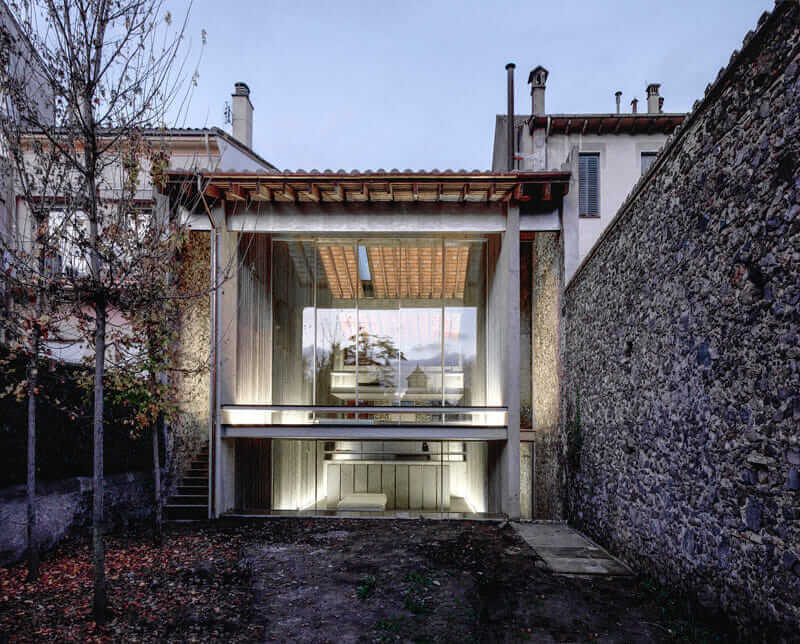 She believes that architecture can be a dance between collaborative teamwork and a single creative visionary. 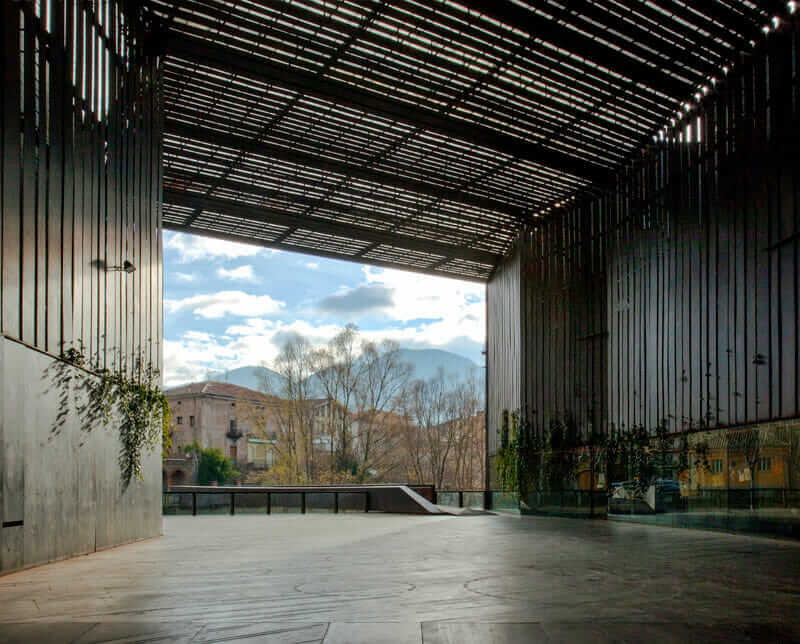 La Lira Theater Public Open Space in Ripoll, Girona, Spain. Designed by 2017 laureates Rafael Aranda, Carme Pigem, and Ramon Vilalta in collaboration with J. Puigcorbé. Courtesy Hisao Suzuki/Pritzker Architecture Prize. El Petit Comte Kindergarten, Besalú, Girona, Spain. Designed by 2017 laureates Rafael Aranda, Carme Pigem, and Ramon Vilalta in collaboration with J. Puigcorbé. Courtesy Hisao Suzuki/Pritzker Architecture Prize. However, as with other creative disciplines, a mythology around the solitary master persists. “Modern architecture is the story of the starchitect, the architect as lone genius, the brilliant flair of the sketch on the napkin, the celebrity, the worldwide renown,” said architecture critic Edwin Heathcote in his Financial Times article, “Age of the Starchitect.” But as the education and practices of architecture change, the spotlight increasingly finds its way behind the scenes, illuminating a truly collaborative art.